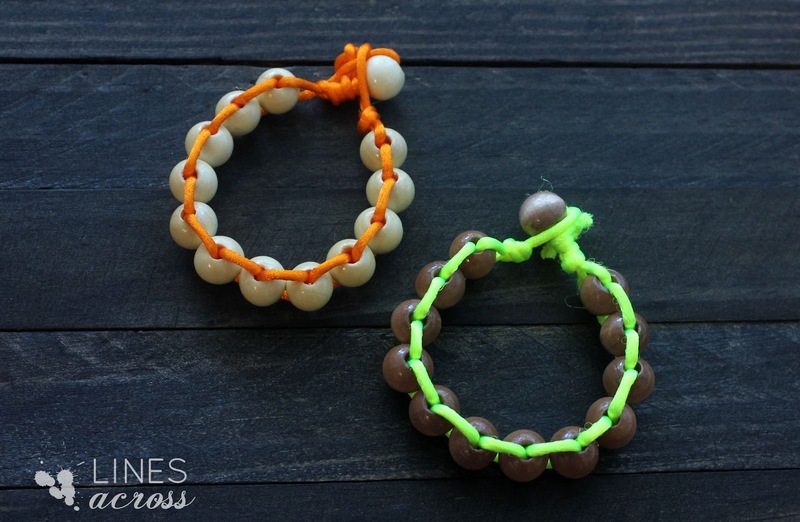 I love the contrast of neon silk cord and natural wood beads. 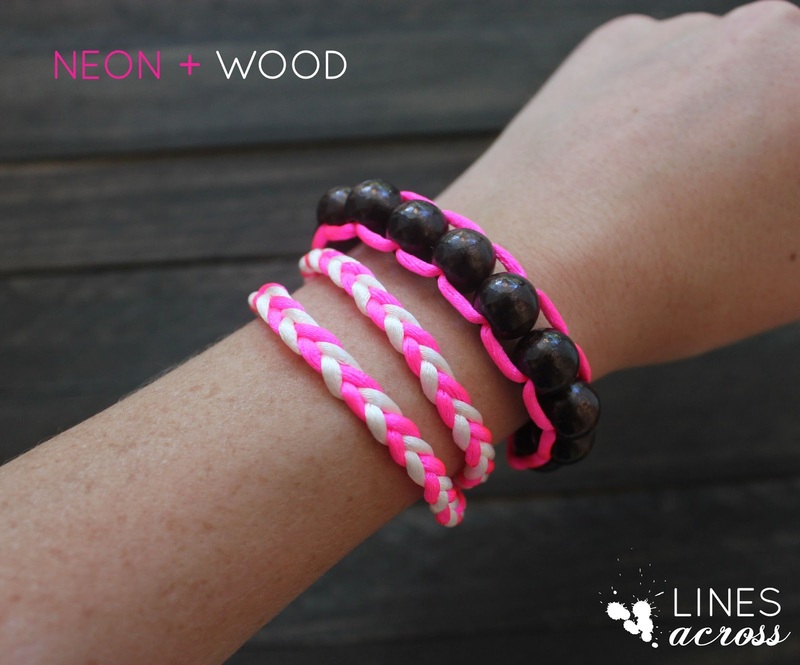 Neon alone can be overwhelming and look like something for an 8 year old girl, but when you pair it up with wood beads, you have a stylish and interesting accessory. 1. Cut one piece of cord, at least 3 feet long. Fold it in half, and tie a knot near the end, leaving a loop slightly larger than your beads. 2. To make it easier to thread, add a dab of glue, Mod Podge, or clear nail polish to the ends of your cord and let them dry. 3. 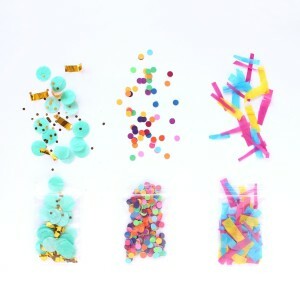 Start adding your beads. Loop one cord through one side of the bead, and the other cord through the other side of the bead. 4. Pull on the cord until the bead is even and tight. 5. 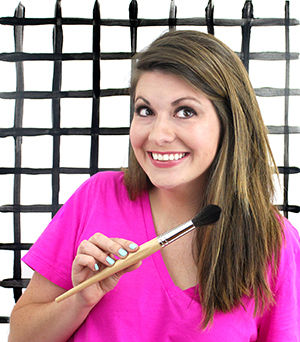 Continue adding beads in this criss-cross manner. 6. When you’re reached your desired length (I used 12 beads), tie a knot close to the last bead. 7. Now thread another bead through both ends of the cord. 8. Tie knots with the ends around the bead so that it is secure. 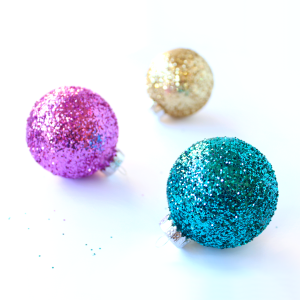 Cut the ends, and secure them with glue or Mod Podge. I like to use a dab of super glue. Stack them together, or wear just one. I also made this chevron bracelet. It’s so easy to do, but I didn’t think to take pictures along the way. 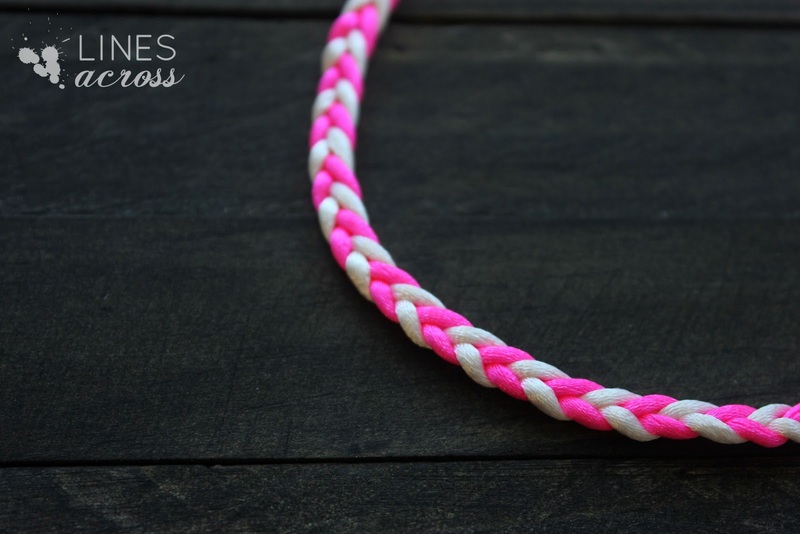 Basically, you are fishtail braiding four strands of cord (two of each color). 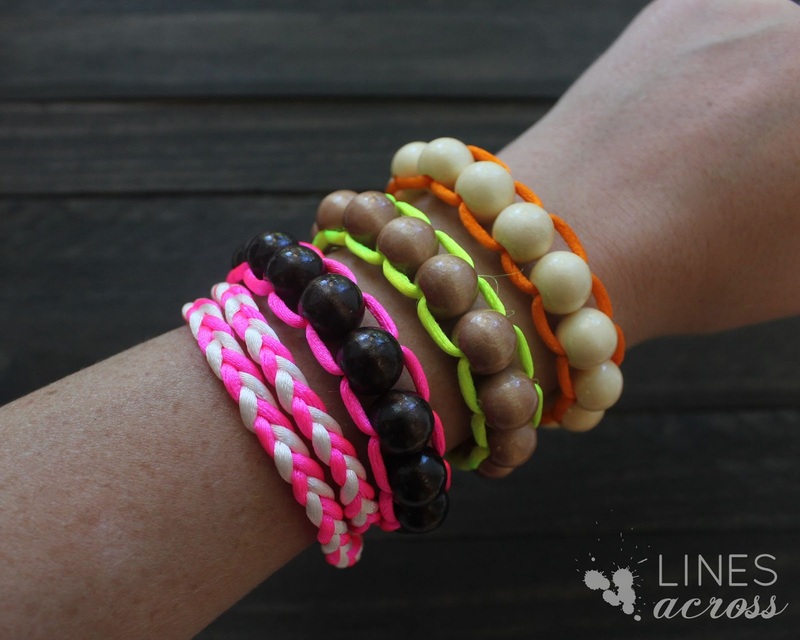 You could also have fun and use two different neon cords for one bracelet, or alternate the beads. What color combo is your favorite? What do you think about neon and wood together? 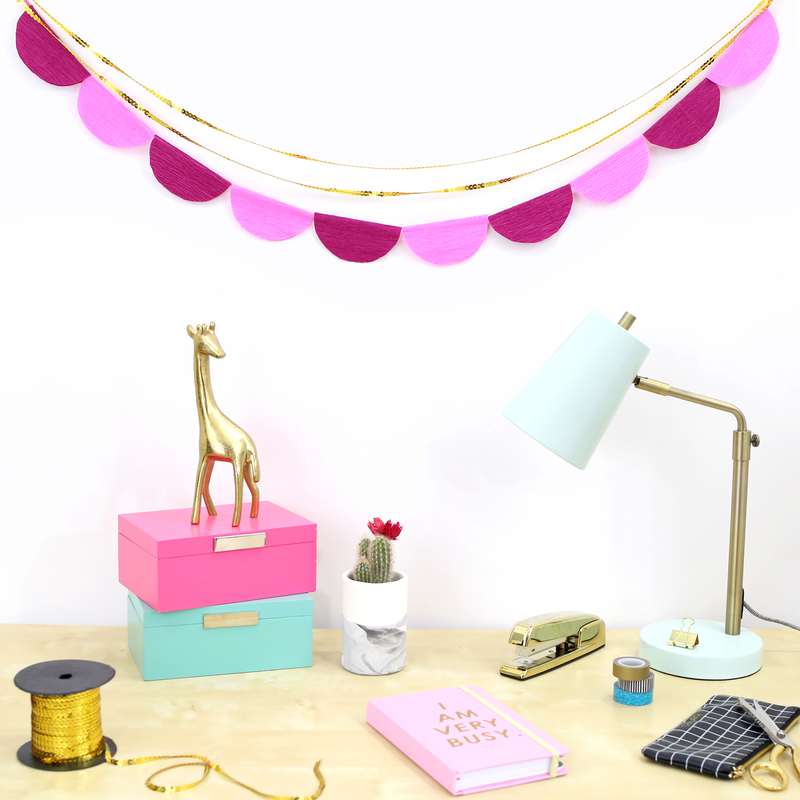 love the pink and black combo! gorgeous! Ooh, very cute!! Thanks for sharing at Shine on Fridays! Pinning now. That chevron bracelet is so cute! I don't see how you finish the ends so you can close the bracelet. How do I do that so it looks like a nice finish? I'm having the same issue. I wrapped them back down and through again and squirted some glue into the bead. It's still drying so I have no idea if it'll hold but it doesn't look nearly as cute.